- Family (green level, discovery) : children from 8 years old. Specially designed for children and their parents. From 2h to 2h30 of coverage / 1h30 of activity. - Classic (blue level, initiation) : children from 12 years old. the integral of the river is made of rapids, quiet moments ang crossing gorges. Many workshops will be proposed during the descent : jumps, swimming test in the river, races between rafts, etc. 3h to 3h30 of coverage / 2h30 of activity. Its possible to do a shorter run : 2h to 2h30 of coverage / 1h30 of activity. - Sportive (red level, impovement) : teenagers from 14 years old. The descent is the same as the classic one but with more exercises and challengs. 3h to 3h30 of coverage / 2h30 of activity. - Expert (black level) : teenagers from 15 years old. 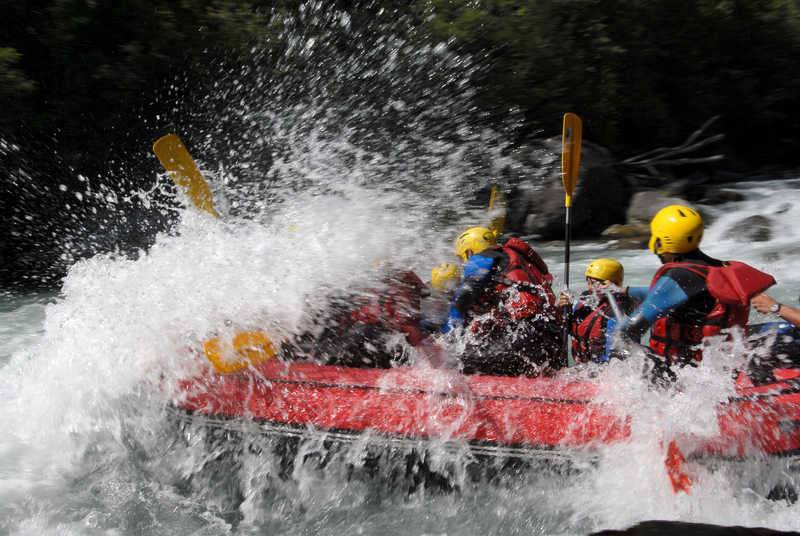 Course on Le Doron of Bozel, crossing 2 big sessions of rapids. This descent will help you to improve the techniques you have acquired before : white water swimming, acceleration in waves, surfing, and many other techniques... 3h to 3h30 of coverage / 2h of activity. Child: 35 to 48 €.